As new releases have faltered at box office, most of the benefit has gone to already running well Kesari. Kesari has hold pretty well on 2nd Friday (9th day). Occupancy of 2nd Friday is on par or even better than 2nd Thursday. Only issue is the screening. 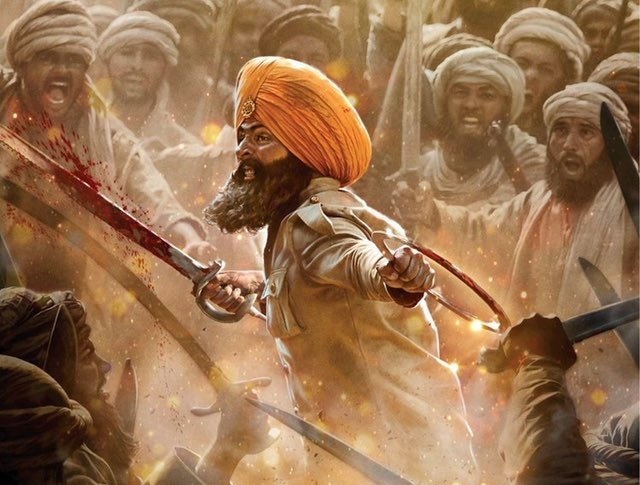 Kesari screening on 2nd Friday is reduced by nearly 50%. Hence, even with similar or bit better occupancy Kesari 9th day total is set to come much below 2nd Thursday. However, as new releases are showing poor occupancy, Kesari should register good jump on 2nd Saturday and 2nd Sunday. Early trends suggest, Kesari 9th day collection is heading towards 3-3.5 crore nett mark. These are early estimates from limited samples. Still few shows are left for the day. Plus major reports from interiors are awaited. Hence, final count may be higher or lower depending on these mentioned factors. All Akshay kumar movie fall heavily in 2md week...don't know when was the last time his movie did even 30 plus in second week.. If 2nd Friday is this low..then it will wrap under 127 cr.or so..will not reach 130 cr. Seriously I cannot understand why this kind of good movies of Akshay doesn’t do well, there are many worst movies doing more business,. Shame on Indian audience! Only Akshay is selling point for movie .While other stars need big heroin,big director to make Hit film. It should cross 140 crores if second weekend goes over 15 crores.